Greetings all. New to the forum, but have already found some great info and seems like very helpful people! A couple questions I would love some input on. 1. 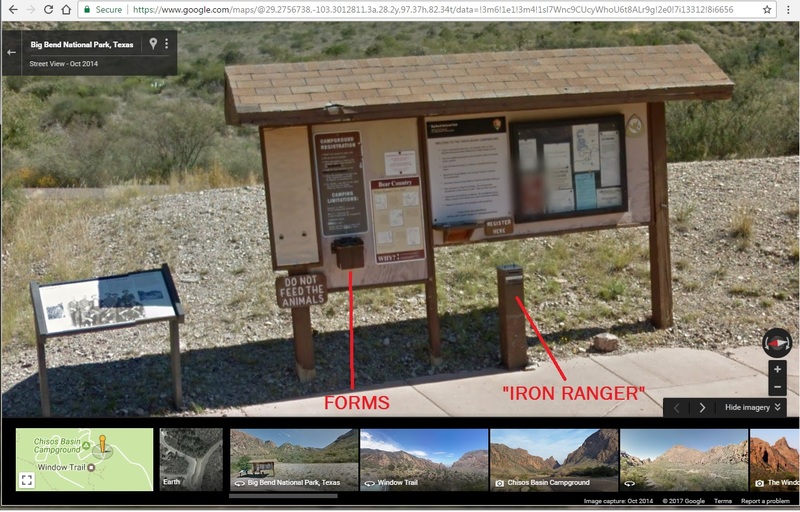 My son (13) and I are looking at camping at Chisos Basin early november. I know weather can be unpredictable but is it safe to assume, nice days and chilly nights? Doubtful below freezing true? 2. Chisos Basin Campsites - It seems ALL spots are not reservable now, true? First come first serve? If this is the case how early would we need to arrive to claim a spot? 8:30am? It will be a Wednesday morning. Any chance of it being full on a Wednesday? 2. The majority of sites are first come. If you are going in early Nov, you should be good, especially mid week. If it's near Thanksgiving ---- No guarantees. Going to the Bend at peak times requires "Plan-B" thinking - you have to be flexible and have a alternative plan(s). Have you thought about Big Bend Ranch State Park? If you're interested in the November averages for the 1981-2010 period for the Chisos Basin, for November 1 the average daily high was 68.9±7.2°F, and the low was 48.3±7.3°F. By November 30, the high was 60.9±8.7°F, and the low was 40.4±8.5°F. You likely wouldn't get a lot of rain - the Basin averaged only 0.57 inches for all of November during that time span. Early November is unlikely to see freezing temps, but with Big Bend you never know. I've experienced highs near 80 in November before, so be prepared for both. All Basin campground sites are first come through November 14. Some years the chili cookoff weekend will be crowded, and Veterans Day weekend is often fairly crowded as well. The last few years the park has seen a lot more visitation, so the "old school" info doesn't hold up as well.